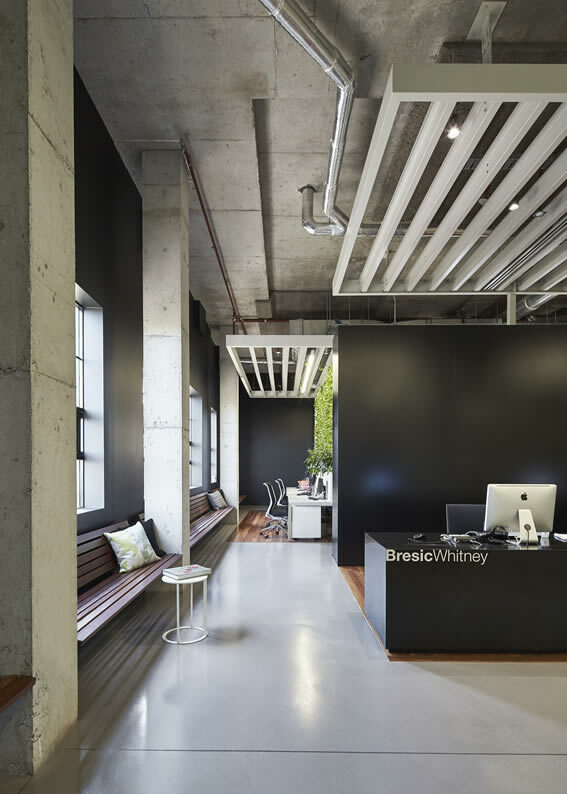 Bresic Whitney is the dominant residential real estate agency for the inner city suburbs of Sydney. 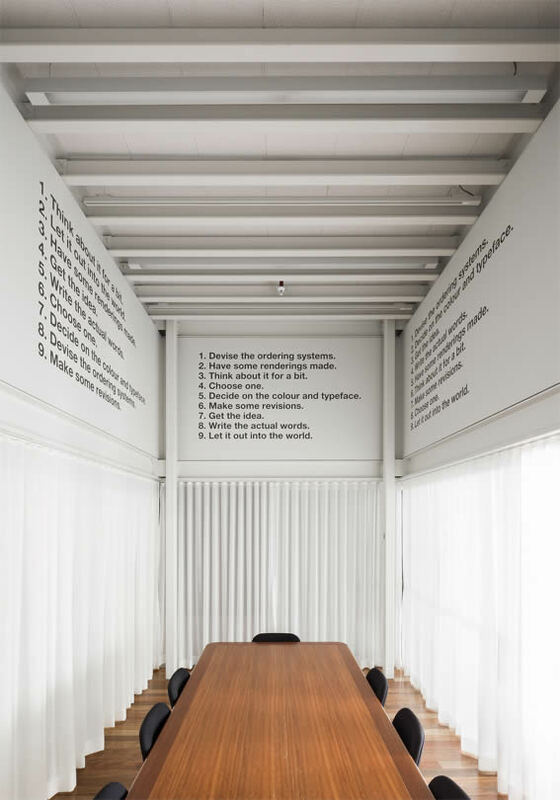 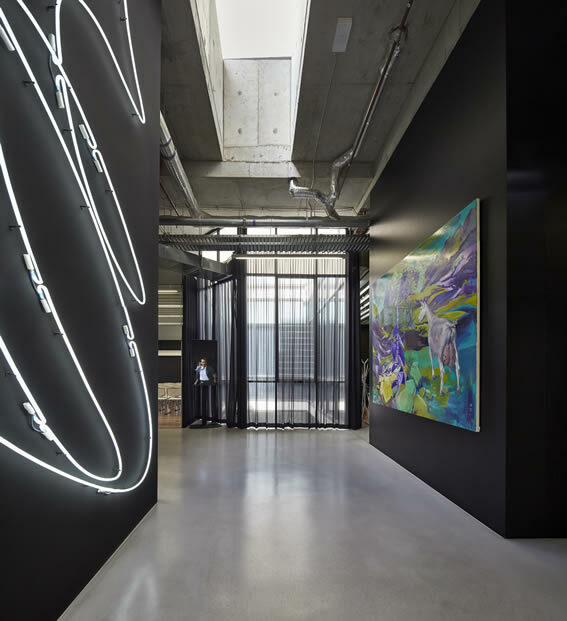 Accommodation was required for 70 staff and the agencies significant collection of contemporary art within a floor space of approximately 840m2. 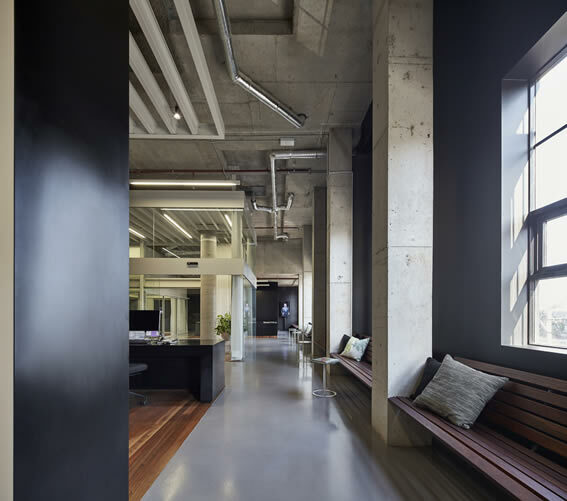 Without a traditional shop front or associated real estate signboards, the interior had to embrace technological and strategic changes within the industry. 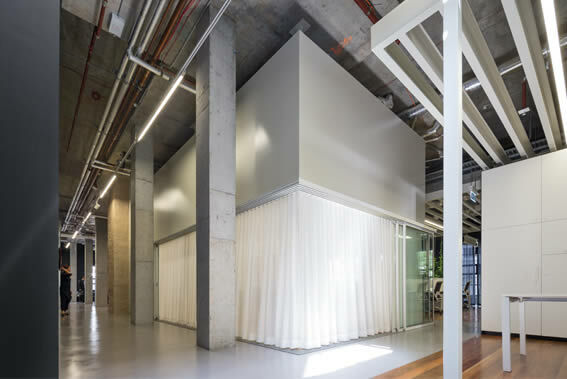 The layout comprises a series of independent pavilions connected by a series of circulation paths set within the random column grid of the base building shell. 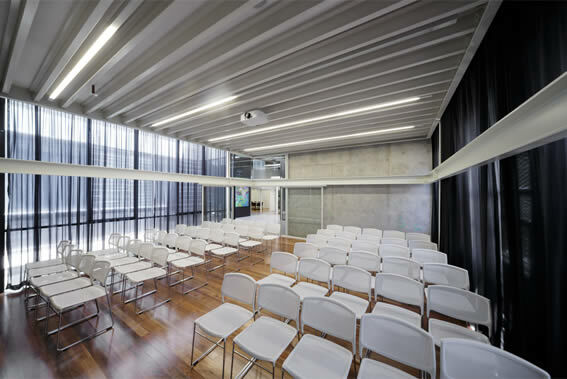 Whilst defined, each pavilion is also permeable and adaptable allowing multiple paths of travel, multiple uses and lines of sight across the entire floor. 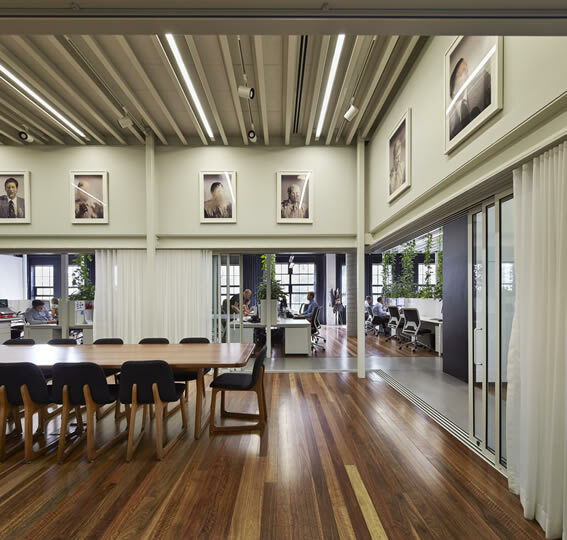 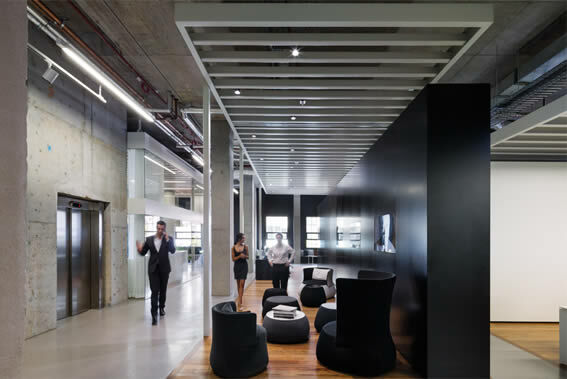 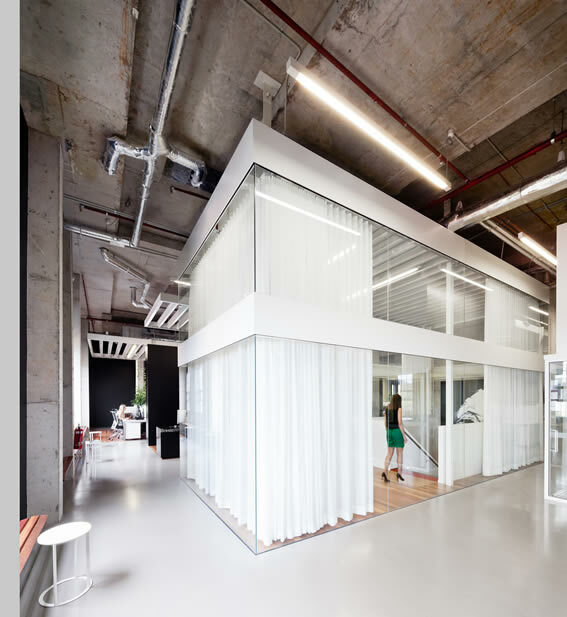 The spatial strategy ensures that spaces are non-hierarchical, reflecting the egalitarian ethos of the company. 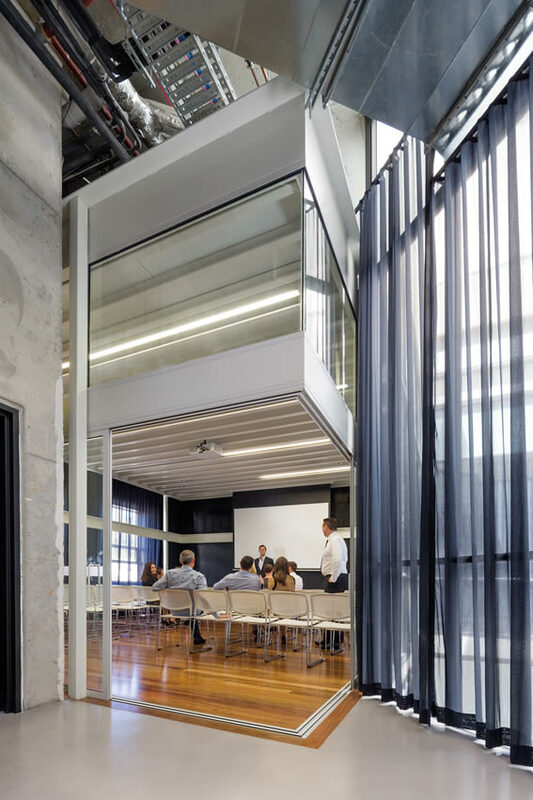 Public participation with the company and space is encouraged beyond its traditional role as a real estate agency. 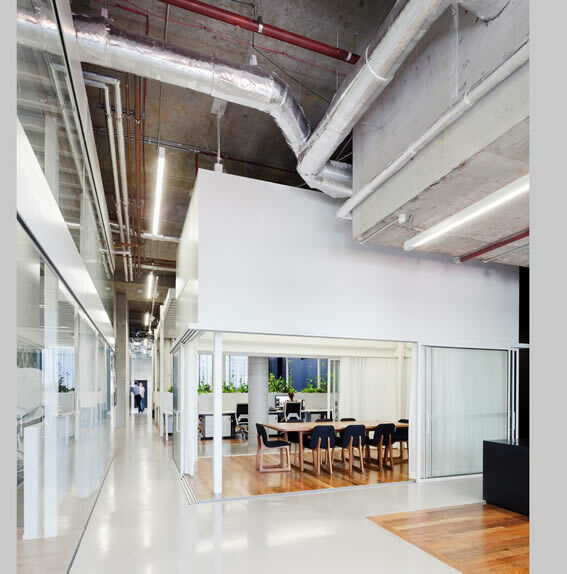 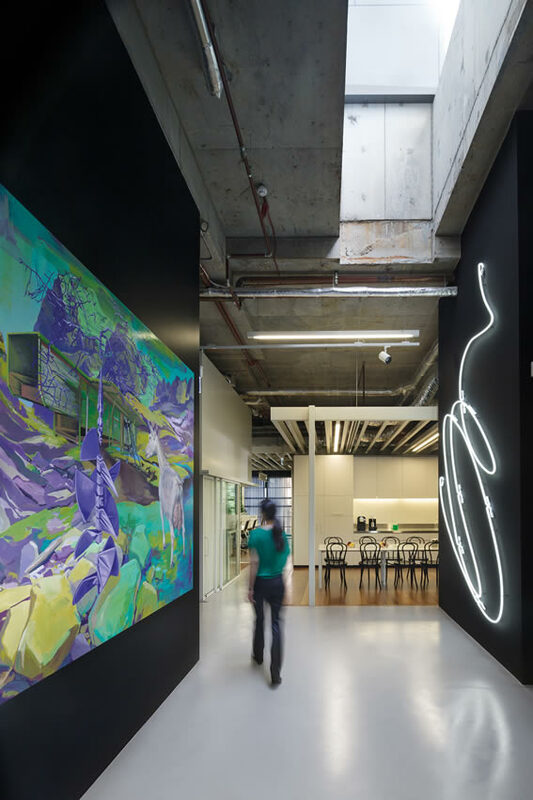 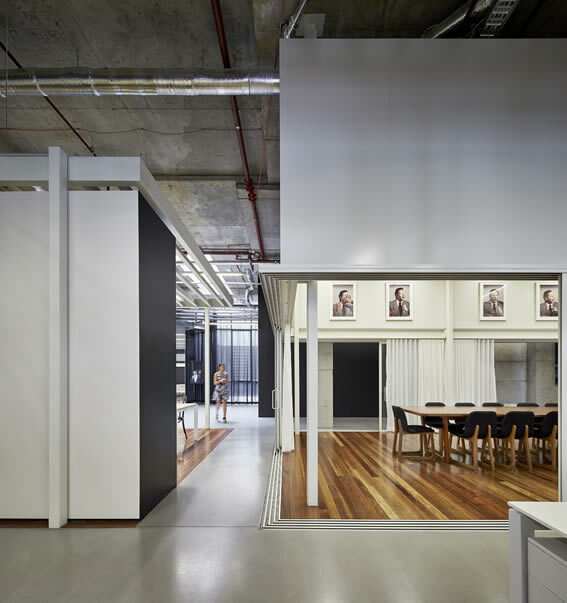 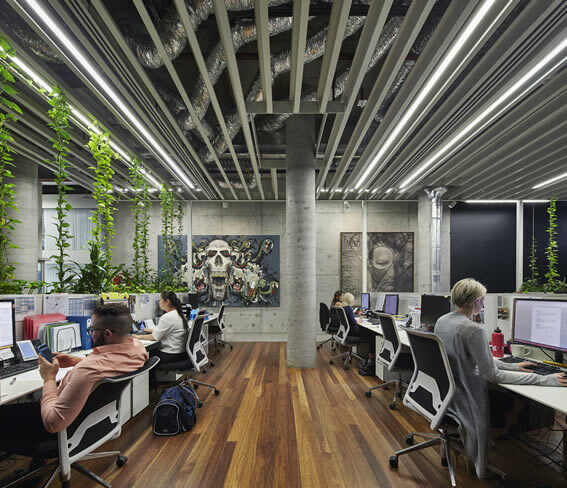 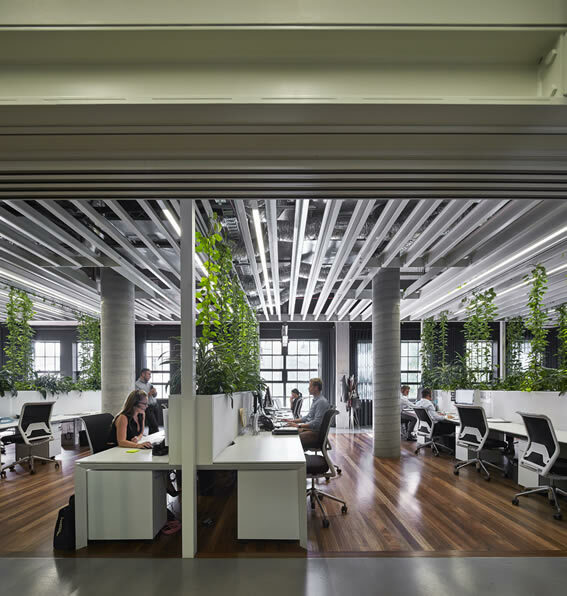 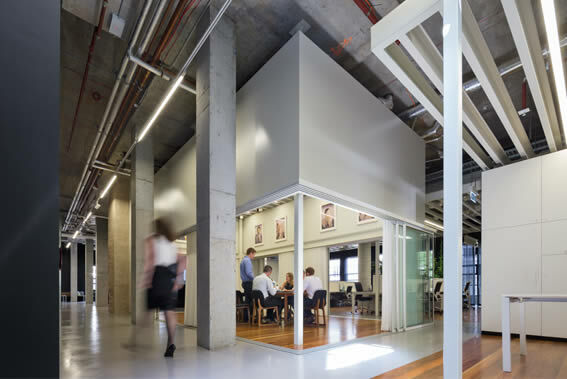 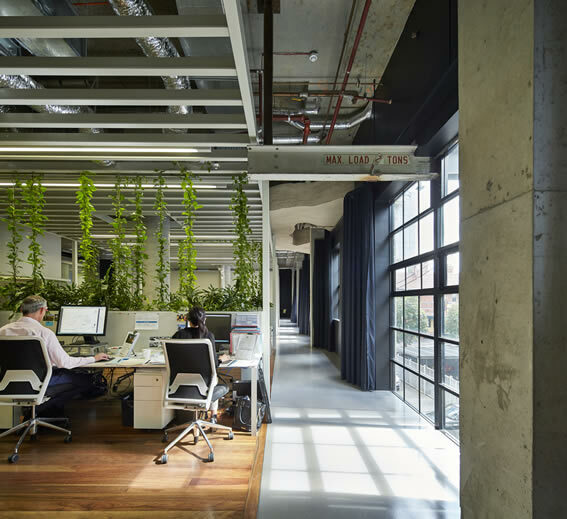 A variety of spaces have been designed to accommodate the different sizes and type of artwork and highlight the vitality of the space, the art and the company.